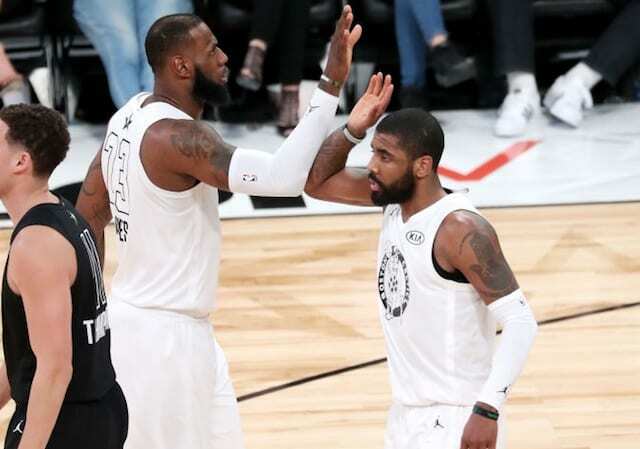 As the Cleveland Cavaliers were in the midst of a stretch of NBA Finals appearances and seemingly poised to return there, Kyrie Irving stunned LeBron James and the franchise by requesting a trade. Indications were the friendship between Irving and James had deteriorated, and he sought to be the leader of his own team. Failed attempts to patch the relationship together led to Irving being traded to the Boston Celtics. Several months ahead of becoming a member of the 2019 free agent class, Irving publicly declared he would re-sign with the Celtics this summer. Turbulent times and his criticism of younger teammates having come and gone, that no longer appears to be such a forgone conclusion. In what now appears to have been a significant step toward burying any sort of animosity, Irving reached out to James to apologize for his actions and seek guidance on leadership. There are multiple layers to the possibility of Irving and James becoming teammates, namely the future of Anthony Davis. 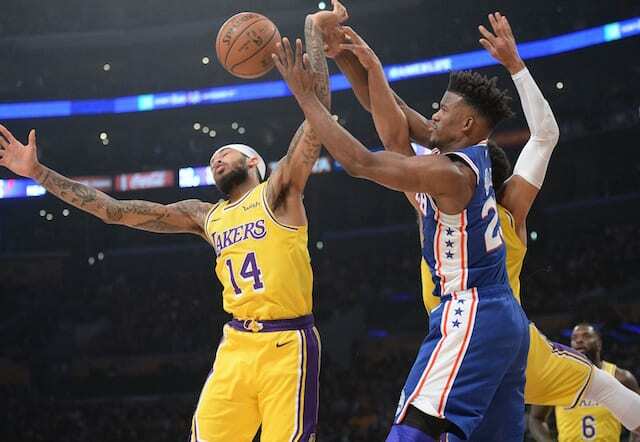 He’s requested a trade from the New Orleans Pelicans, and the Los Angeles Lakers are among the teams expected to pursue the five-time All-Star. If the Lakers are to acquire Davis before the Feb. 7 trade deadline, it would make it difficult — thought not impossible — to create enough salary cap space to sign Irving or another top-tier free agent to a max contract or close to that value.